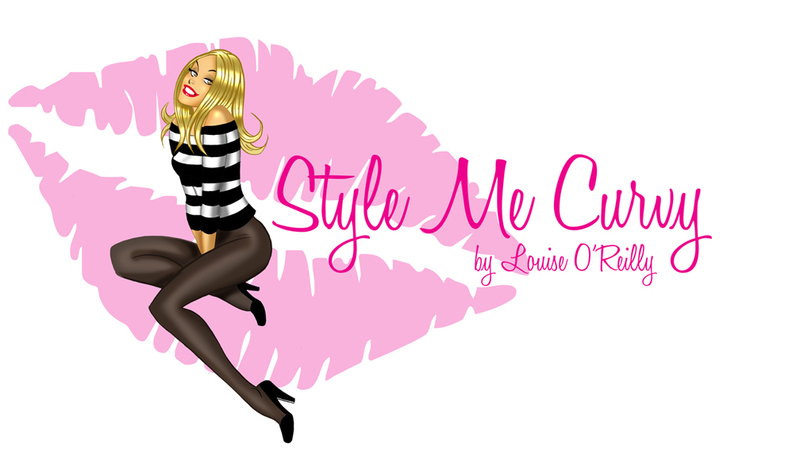 I recently met the stunning Louise from Style Me Curvy at the Marks & Spencer Ireland AW12 launch. Louise is a plus sized model (not in my eyes but in the fashion industry's eyes). She has a gorgeous blog where she shares pictures from the modelling work she does as well as her own personal style. I've also followed Ashley over at A Fashion Fixation for a while. I love her style - she luckily lives in warmer climes so is still in her skirts with bare legs…lucky girl! Jessica Kane is more than a blogger, she's a stylist, confidence crusader and entrepreneur. You'll love her site - Life and Style of Jessica. Of course I have to mention Avenue 57, where real women post their own daily photos. It's like 20 or more style blogs in one place each day! And it's more 'real' than a lot of blogs.. It's where I met Fashion Mommy, another stylish curvy girl. Emma blogs about her personal style as well as regularly featuring discounts and deals. lot of women look for curvy women styling outfits, and this could be helpful to alot ! Style is for everyone, and i totally agree ! I really want all women of any size to feel good about themselves and that can be done by being inspired by others to wear x,y or z items - we all have the ability to be inspired and to inspire others ourselves. What about me, I'm a size 16 and only 5ft 2 but then again I am not very confident with photo's, some curvy girls are photogenic despite their size, I was never photogenic even when I was thin! I follow your blog Sharon and love your great style! I'm not curvy but like reading curvy girl blogs as it's much harder to dress a curvy body shape, all the tall and skinny ones look great in anything so the curvy bloggers perhaps have to have more natural style to look good, if you know what I mean. Any luck on getting d Report Wedges? I beg to differ. There are lots of very confident sylish curvy and plus size bloggers out there. They are just out of the radar from the mainstream fashion scene because plus size is still considered flawed. Who could learn about style from a plus size woman, right? Yet these bloggers can easily deliver lessons in style. THey are all sizes, all styles and they are all over the world. This is just a short (yes, short, counting all the curvy and plus size blogs I've seen) list of my favourite ones I've compiled for you. Would you please write another quick post for those readers of you who requested curvy blogs? Each blogger will lead you to at least one other curvy blog so it is possible each of your curvy readers will find one blogger whose style they'll love. BTW, I follow you daily even if I weigh possibly 3 times what you do, but I love your style, and even if many of your outfits would not look good on me, I can find inspiration in the combination of colours and materials. As my favorite curvy bloggers say "Style has no size"
oops! Not 3 times, but almost twice as much yes :-D Thanks for this post, btw. It helps to open up the fashion scene for us curvies. Does it tell English is not my native language? I know I am too blunt for English speaking cultures but even if I know the language very well, I still don't manage the subtleties that could come across as offensive or aggressive. Its funny how when an American, for example, is learning Spanish, they say way too many "por favor" and "gracias" (please and thank you). We don't use those nearly as much! Awww, yay! Thanks for the shout out!